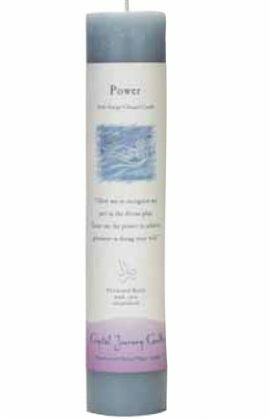 Scents include Dragon’s Blood, Olive Oil, Saffron, Peppermint, and Musk. 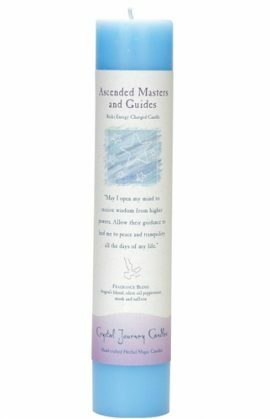 Use Ascended Masters Pillar Candle to honor and call upon our Ascended Masters and Guides. 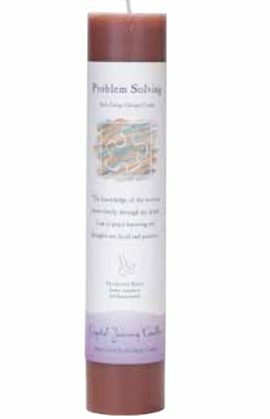 Use in combination with Problem Solving candle to learn what the masters have to teach us. 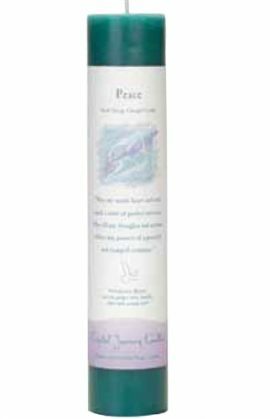 Scents include Pine, Patchouli, Salt, Cypress. 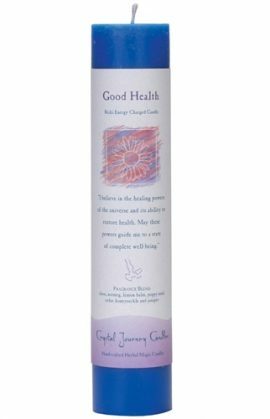 Use to boost your confidence and bring in stability.Use in combination with Good Health candle to correct skin and bone problems. Scents include Iris, Rose, Cinnamon. Use free oneself from the burdens of the world in order to explore new dimensions, discover new thoughts, ideas and emotions. Scents include Musk, Carnation, Wisteria. 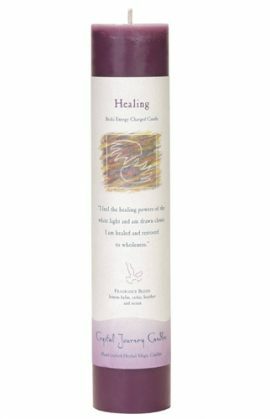 Scents include cedar, ocean, lemon balm, and heather. Scents include cinnamon, apple, and orange. 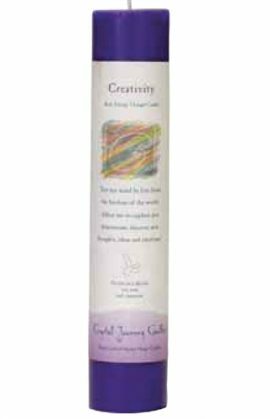 Use to create a home filled with love and caring. 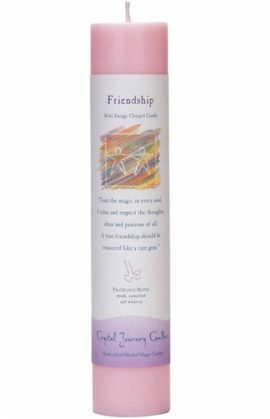 Use in combination with Love and Harmony to bless a new home. 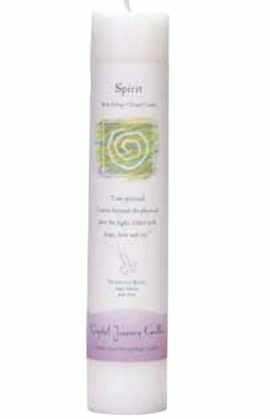 Scents include Olive Oil, Patchouli, Rose, Clove, Lavender, and Dragon’s Blood. 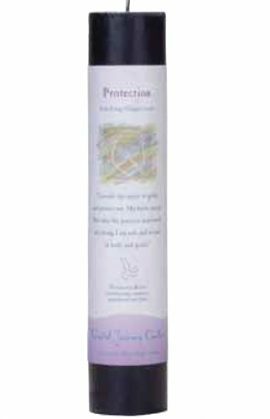 Scents include Sunflower, Myrrh, Frankincense. 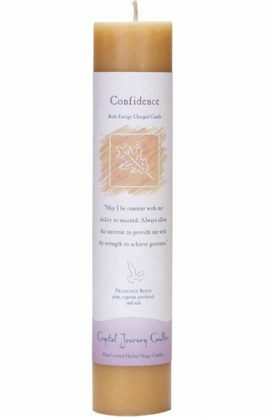 Use to enhance your self-confidence and desire to complete tasks and overcome obstacles. 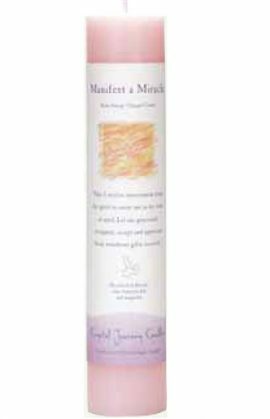 Scents included Vanilla, Clove, Myrrh, Ginger Root, Caraway Seed. Scents include Clove, Musk, Patchouli. Scents include Rosemary, Honey, Honeysuckle. 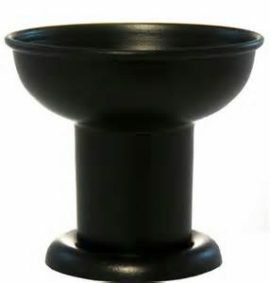 Scents include Musk, Patchouli, Pine, Cedar, and Juniper. Use to attract a lusty relationship. 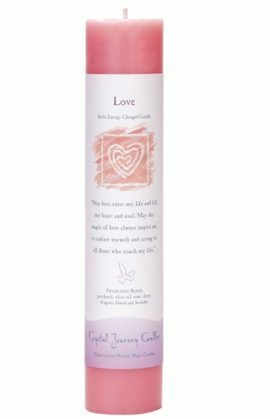 Use in combination with Love candle to put a spark back into a tired relationship. Scents include Sage, Lemon, Clove. 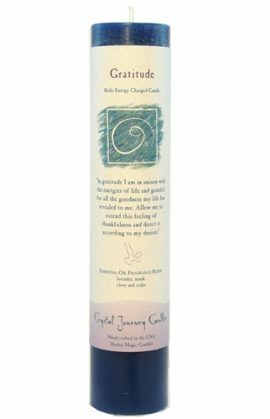 Use to assist your focus on the spiritual side of life. 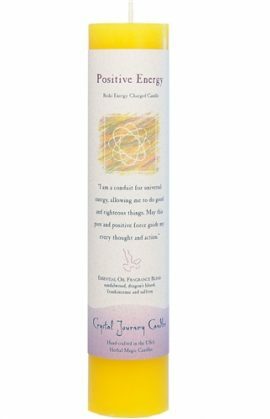 Use in combination with Positive Energy to create success in the new millennium. 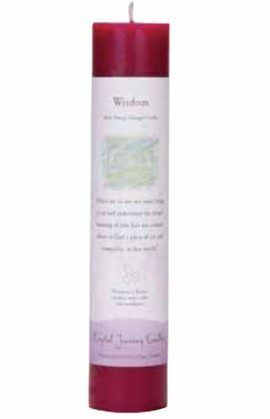 Wisdom Candle, Crystal Journey Candles (Reiki Energy Charged Candle) can help you. 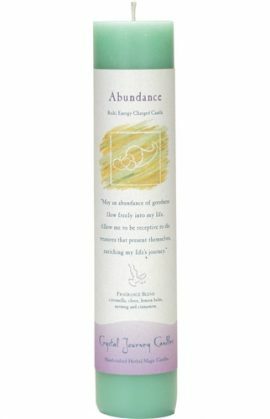 Fragrance Blend of coconut, mint, cedar and eucalyptus. 7″ Tall.